With the Lieferando.de iPhone App you can now easily satisfy your hunger from anywhere and order burgers, pizza, pasta, sushi, salads and much more from over 11.000 restaurants and delivery services in your area. No matter if you are/eat in Hamburg, Berlin, Munich, Frankfurt or Cologne. Lieferando.de comes to you! And the best part: it's easy! Simply enter the location of the delivery destination or let the app find your exact GPS location. And, of course, you will benefit from the unique Lieferando.de loyalty points on the move, or on your couch using the iPhone app. We are always grateful for your feedback and your suggestions, so we can continue to improve the app. For suggestions and requests just send us an email to iosapp@takeaway.com. Lieferando.de wishes you a "Bon appetit!" Food Delivery Services in Berlin, Hamburg, Munich, Cologne, Frankfurt (Main), Stuttgart, Dortmund, Düsseldorf, Essen, Bremen, Hannover, Leipzig, Dresden, Nürnberg, Duisburg, Bochum, Wuppertal, Bielefeld, Bonn, Mannheim, Karlsruhe, Wiesbaden, Münster, Augsburg, Gelsenkirchen, Aachen, Mönchengladbach, Braunschweig, Chemnitz, Kiel, Krefeld, Halle (Saale), Magdeburg, Freiburg (Breisgau), Oberhausen Lübeck Erfurt Rostock Mainz Kassel Hagen Hamm Saarbrücken Mülheim (Ruhr ), Herne Ludwigshafen Osnabrück Solingen Leverkusen Oldenburg, Potsdam, Neuss, Heidelberg, Paderborn, Darmstadt, Regensburg, Würzburg, Ingolstadt, Heilbronn Ulm, Göttingen, Wolfsburg, Recklinghausen, Pforzheim, Offenbach (Main), Bottrop, Bremerhaven, Fürth , Remscheid Reutlingen, Moers, Koblenz Erlangen, Trier, Siegen, Jena, Cottbus, Gera, center, Prenzlauer Berg, Kreuzberg, Friedrichshain, Moabit, Tiergarten, Charlottenburg, Wilmersdorf, Pankow, Marzahn, Hellersdorf, Neukölln, Schöneberg, Steglitz, Zehlendorf, Tempelhof, Wilmersdorf, Lichtenberg, Köpenick, Spandau, Altona, Eppendorf, Eimsbüttel, Barmbek, Bergedorf, Wandsbek, Harburg, Winterhude, Oppen constable, Wellingsbüttel, Rahlstedt, Steilshoop Farmsen, Bergstedt, Fuhlsbüttel, Uhlenhorst, Alsterdorf, Rother tree, Stellingen, Sternschanze uva Districts. No matter if it is currywurst, ice cream, meals on wheels, a candlelight dinner or just a snack - anything is possible! Thanks for using our app, we really appreciate it! Questions or tips? Contact us: iosapp@takeaway.com. 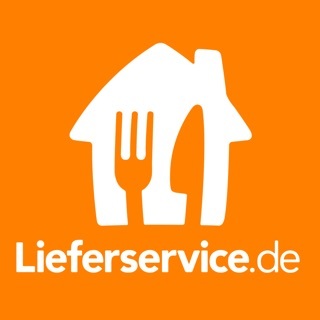 I have ordered from Lieferando several times in both Dresden and Frankfurt and I have never ever ever gotten my food earlier than 45 min after ordering - on average I would say it has taken 70-90 minutes. And there is no ability to find out where your food is through Lieferando - you have to call the restaurants, where almost always I have been told “oh yeah food is on the way already” and then still had to wait 30 min. What’s the point? With these kind of waiting times I might as well cook myself. I’m not going to use this anymore - only Foodora, bc at least there I get my food fairly quickly and I know where “on the way” it is. This service is a joke. As a native English speaker, I've found ordering out over the phone can be somewhat problematic due to my limited German. I've been using Lieferando for the last year after being told by an expat friend about this English friendly app and have with zero issues since. My food is always delivered fresh, hot and on time. My hats off to the developers for paying attention to the international crowd! I’ve gotten food twice and I get an update that my order was received but no feedback on when to expect our food, so it could be 45 minutes or 2 hours, kind of frustrating when you are hungry. This last order I put in at least let me choose a time for my food to get delivered so that was nice, 1:15 from now. Food quality has been pretty good. we are very sorry for the caused inconveniences. Could you please send us a message with your order number to iosapp@takeaway.com, so that we can have a look at it. We will take care of your request immediately.